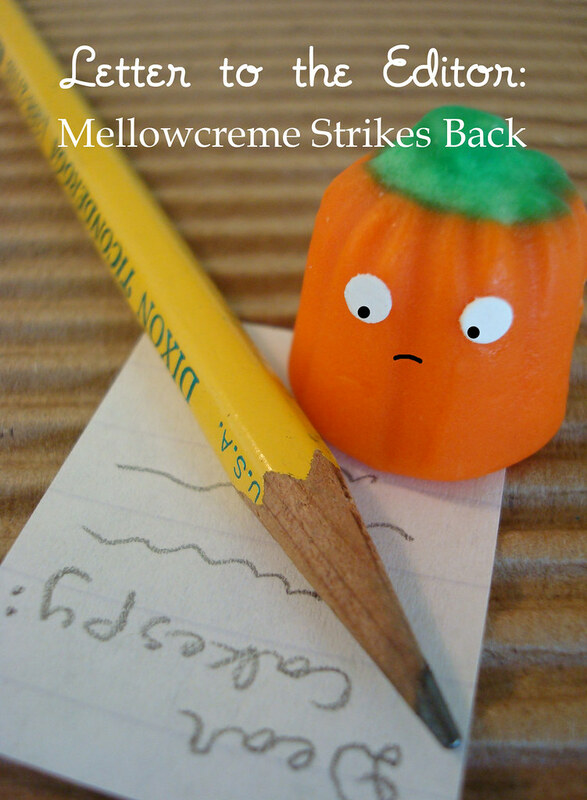 My name is Mellowcreme Pumpkin and I would like to comment on your recent article "Cake Poll: Fall Treats". In reading through your reader responses I notice that the confection known as "Candy Corn" has attained far more votes than me in the race to determine the superior Halloween Confection. It has brought me to only one conclusion: either this poll has been funded by "Candy Corn" or "Candy Corn" has paid off said readers for a positive response. 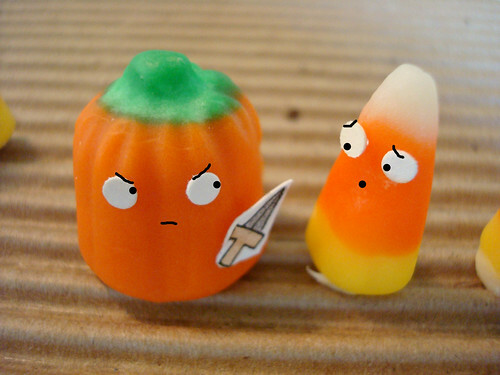 There's simply no delicate way to state it other than to say Candy Corn is a Conehead. Do you really want to associate yourself with a piece of candy whose claim to fame is a resemblance to a washed-up vintage Saturday Night Live character? Candy Corn is skinny. They say never trust a skinny chef--I say never trust a skinny candy. Even considering Candy Corn's unbecoming "junk in the trunk", you'd still have to eat at least three of them to equal one of me. Seeing green: There's a lot of value put on being "green" in society these days. 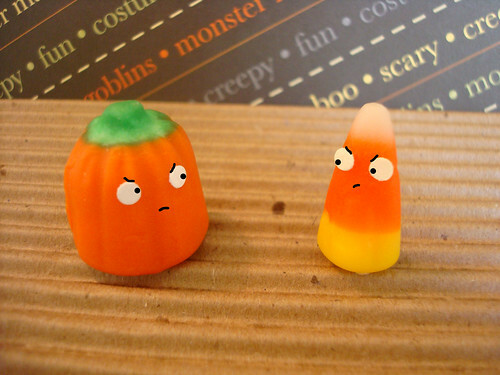 Well, do you see a trace of green on Candy Corn? No way. I'm the only confection in this mixed bag of candies to contain green. You know what that means? I'm practically a vegetable! Clearly I'm the healthiest choice, not to mention I have a more visually pleasing palette. 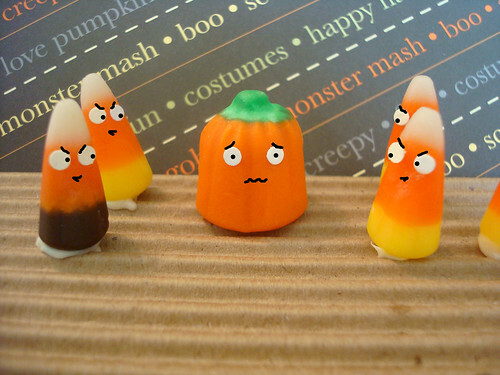 The press agrees: According to Serious Eats, Candy Corn is "the fruitcake of halloween candy" and one of the 10 worst Halloween candies to give out. While some of you may argue that my ingredient list is the same, I don't see any pictures of Mellowcreme Pumpkins on that list, so clearly I am a confection of a higher caliber. They don't put nearly enough of you in the Brach's Autumn Mix. 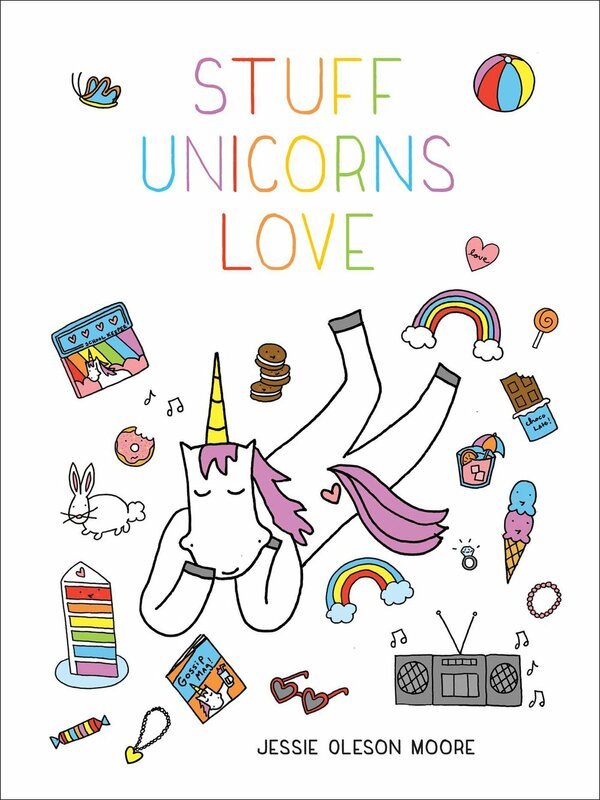 Have you ever seen a poem about Candy Corn? Well, have you? 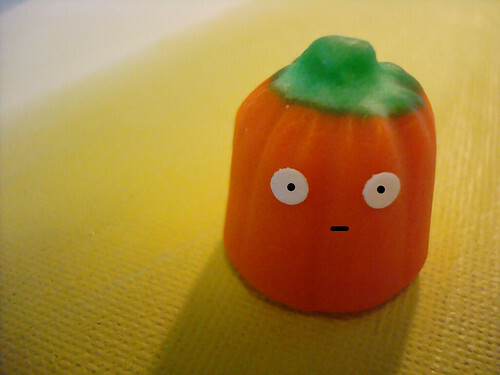 William Wordsworth would surely agree, I am the superior candy. I will close by imploring the readers of "Cakespy.com" to reconsider their vote. There is still time to remedy this voting travesty; consider your integrity here. Sure, "Candy Corn" may have dazzled you, what with its showy three colors and unusual shape. But please, look deep in your hearts--and stomachs--because I've got a lot of sweetness to share, if you'll just give me a chance.